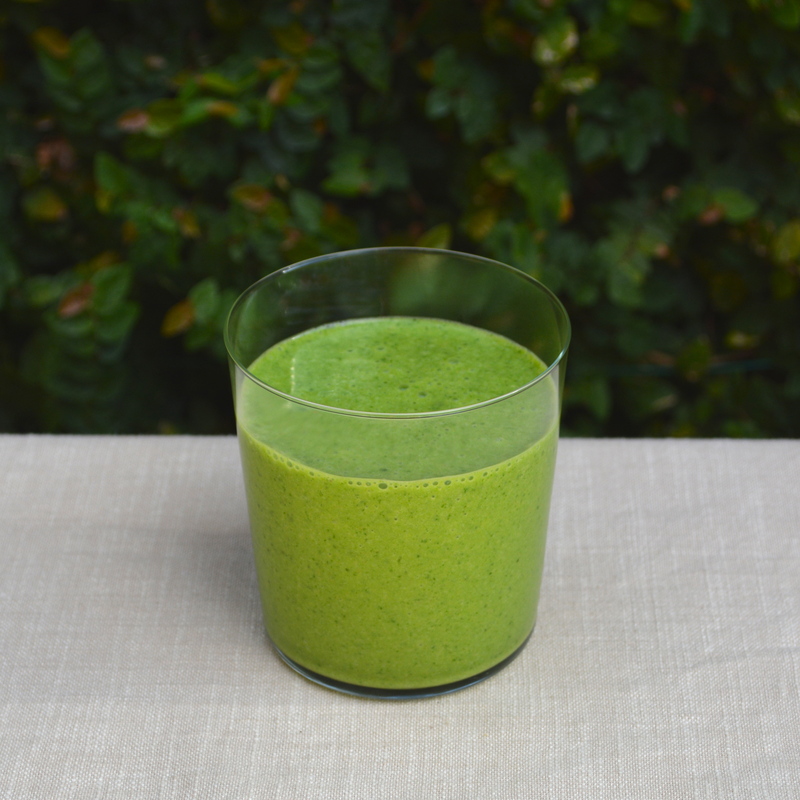 Crazy Good Spinach Smoothie | Time to Cook! My neighbor Jess was telling me about a smoothie that she made everyday for a year. I figured if she did that, it had to be good. But once she starting telling me the ingredients, I wasn’t so sure about the peanut butter. Peanut butter in a drink? But trust me. It’s delicious. I’ve now been making this smoothie for a regular afternoon snack and my boys can’t get enough of it. Enjoy! Combine all ingredients into a blender and puree, adding ice at the very end.